Everybody Loves Raymond is an American sitcom that ran for nine seasons, from 1996 to 2005. It featured Ray Romano as Ray Barone, an Italian-American sportswriter, who lives with his family on Long Island. Ray's meddling parents, Frank and Marie, live across the street from them. A total of 210 episodes of the series were produced over nine seasons. Why not test your knowledge of the show by responding to the quiz below. Good luck! 1. Where on Long Island does the Barone family live? 2. 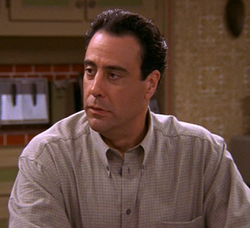 Raymond's older brother Robert Barone, played by Brad Garrett, is a New York City police officer. In real life . . .
A. Ray Romano does not have a brother who is a police officer. B. Ray has a younger bother, Robert, who is a New York City police officer. C. Ray has an older bother, Richard, born 1956, who is a sergeant with the NYCPD. D. Ray's dad, the late Albert Romano, was a New York City police officer. E. Ray's older brother, Robert Romano, is a New York City police officer. 3. What is the name of Raymond's favourite pizza place? 4. What is Ray Barone's wife Debra'a maiden name? 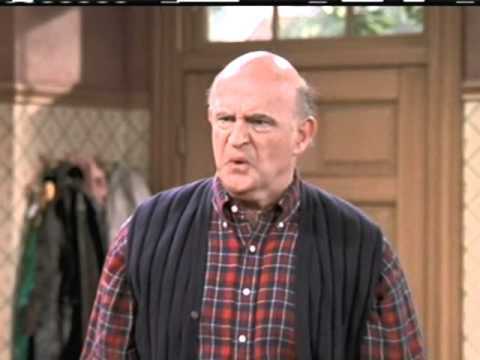 5. Who portrayed Warren Whelan, Debra's father? 6. How did Ray and Debra meet? A. They met on a blind date set up by a friend of Raymond. 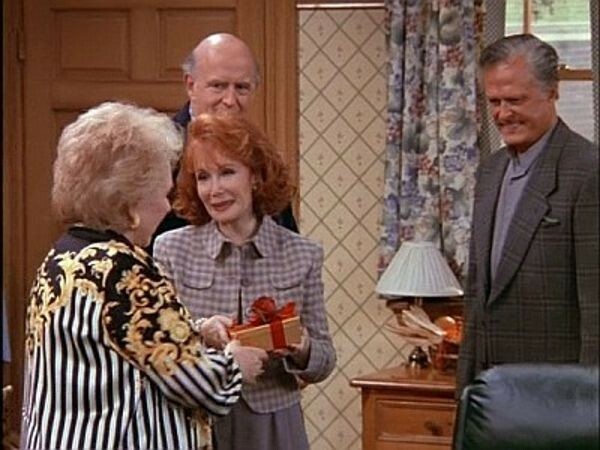 B, They met when Ray delivered a futon to Debra's apartment. C. They met at Coney Island. D. They met at a New York Rangers hockey game that Ray was covering as a sportswriter. E. They met at a party given by friends of Robert. 7. Robert Barone and his first wife divorced. What is the name of his first wife? 8. What game does Ray like to play, much to Debra's dismay? 9. Which of the following statements about Frank Barone, Ray and Robert's father, is true? A. Frank is a retired bookkeeper. B. Frank was a registered real estate agent. C. Frank is a veteran of the Korean War (1950-1953). D. Frank drove a 1972 Plymouth Valiant for a number of years. 10. Debra and Ray Barone are the parents of three children, a daughter and twin boys. What are the names of the twins? 11. Debra's sister. Jennifer Whelan, is seen in only one episode of the series. What happens in that episode? A. Jennifer is arrested for shoplifting. B. Jennifer is attracted to Robert. C. She announces her intention to become a nun. D. She tuns out to be an alcoholic. E. She reveals that she is getting a divorce. 12. In a 2003 episode, Debra ends up in jail. Why do police arrest her? A. She is charged after taking part in a protest. B She is charged with drunk driving. C. She is charged with driving a stolen vehicle. D. She is charged with assaulting her mother-in;-law, Marie. E. She is accused of leaving a restaurant without paying her bill. 13. 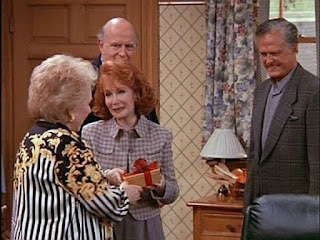 Marie Barone, the mother of Ray and Robert, is nosey, bossy and critical of Debra's housekeeping. She also coddles her two sons. As a result, she and her daughter-in-law have a difficult relationship. According to Debra, how does Marie get her way? A. Her family is afraid she will reveal some embarrassing information. B. She never stops talking. C. She is generous with her money. E. She always cooks up some delicious food for family and friends, especially lasagna. 14. What is the name of the publication for which Raymond Barone works? 15. Before her marriage to Ray, what work did Debra do? A. She worked for a publishing company. B. She was a nurse. E. She worked in public relations for the New York Rangers hockey team of the NHL. The Barone family lives in Lynbrook, Long Island. Lynbrook is a village in Nassau County, New York. 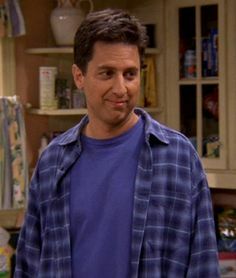 Ray Romano has an older bother, Richard, born 1956, who is a sergeant with the New York City Police Department (NYPD) and a younger brother, Robert, an elementary school teacher in New York City. On Everybody Loves Raymond, Robert is jealous of Ray and feels that he is always in Ray's shadow. Robert displays some quirks too. For example, he has a habit of touching food to his chin before eating. He also keeps his left socks in his left drawer and his right socks in his right drawer. Brad Garrett, who portrayed Robert Barone, really stands out in a crowd. He is about 203 centimetres (six feet, eight inches) tall. His voice is deep and distinctive. In addition to being an actor, Brad is a stand-up comedian and a professional poker player. 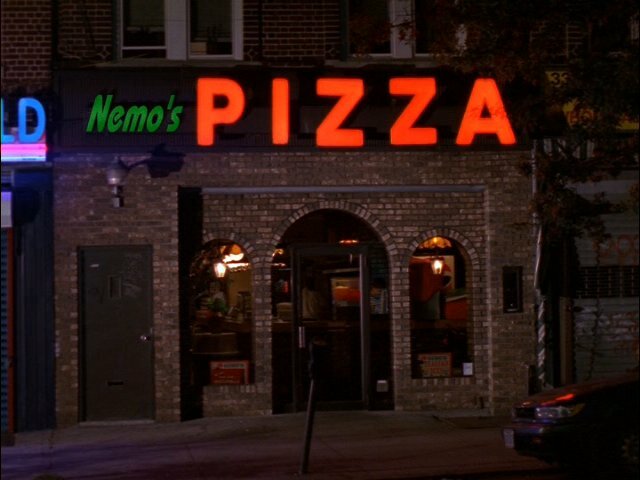 Raymond's favourite pizza place is Nemo's. 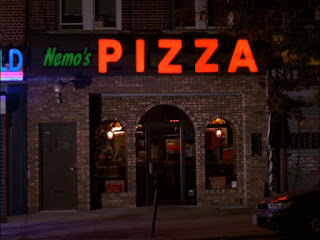 Nemo was the name of the original owner of the restaurant. However, Marco Fogagnolo later took over pizzeria and it became known as Marco's Pizza. 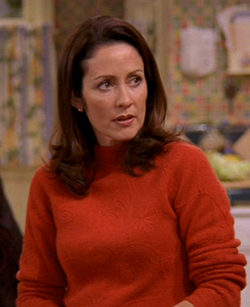 Ray's wife Debra, played by Patricia Heaton, is the daughter of Warren and Lois Whelan. She was raised in Connecticut and her family is well-to-do. Patricia Heaton appeared in all 210 episodes of Everybody Loves Raymond. For her role in the show, she won two Emmy Awards for Outstanding Lead Actress in a Comedy Series. Patricia has been married to British actor David Hunt since 1990 and they have four sons. From 2009 until 2018, she starred as Frances "Frankie" Heck in the ABC comedy series The Middle. Robert Culp is best known for his portrayal of secret agent Kelly Robinson alongside Bill Cosby in the 1960s espionage series I Spy. Ray once had a job delivering futons and he met Debra when he delivered a futon to her apartment. Robert's first wife was Joanne. After their divorce, he moved back in with his parents. He later remarried and his second wife is Amy MacDougall, Debra's best friend. Ray likes to play golf. Debra thinks he plays too often and does not help enough around the house. All of the statements about Frank Barone are true. Veteran character actor Peter Boyle portrayed Frank Barone. Boyle passed away on December 12, 2006 at the age of 71. 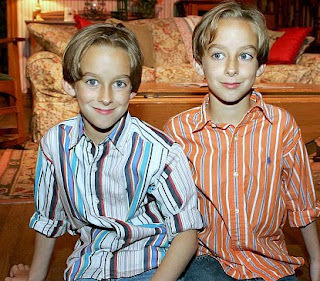 The twins are named Michael and Geoffrey Barone. Sawyer Sweeten played Geoffrey Barone and his twin brother, Sullivan Sweeten, played Michael. Their real life sister, Madylin Sweeten, portrayed their older sister, Alexandra "Ally" Barone. Ally was named after Ray Romano's real life daughter. Ally Romano made some appearances on Everybody Loves Raymond as Molly. Tragically, Sawyer Sweeten took his own life on April 23, 2015. He was just weeks away from his 20th birthday. Debra's sister Jennifer, played by Ashley Crow, announces her intention to become a nun in an episode entitled "The Sister" (Season 4, Episode 6, Air Date: October 25, 1999). In an episode entitled "The Shower" (Season 7, Episode 21, Air Date: April 28, 2003), Debra is jailed for driving under the influence. After having too much to drink at a bridal shower for Amy, Debra rests in the car until she feels better, The police think that she has been drinking and driving. Debra once advised Amy that Marie's weapon of manipulation was guilt. She referred to it as Marie's "Guilt Bomb" and explained that her mother-in-law makes people feel guilty when she doesn't get her way. 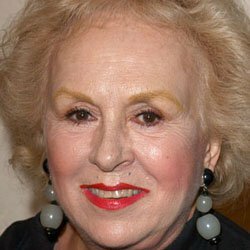 Doris Roberts, the veteran actress who played Marie, passed away on April 16, 2016. She died after suffering a stroke. She was 90 years old. Ray Barone is employed as a sportswriter for a fictional publication called Newsday. Before marrying Ray, Debra worked in public relations for the New York Rangers hockey team.